The first candlelight ski of the 2019 season went splendidly. We had gorgeous weather, with temperatures in the upper 20s that evening, and a wonderful turnout of 56 people who signed in, with many more who did not. 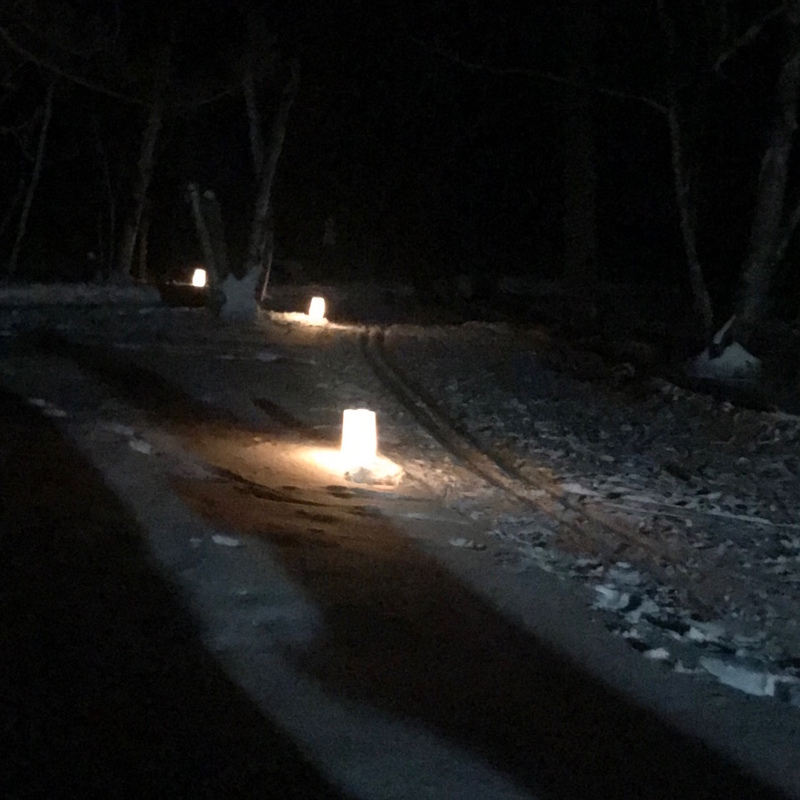 Though the sky was overcast and we were unable to see the moon, the luminaries cast a beautiful glow on the snow, leading skiers and snowshoers alike along the path through the park. By the end of the night, everyone left with new, enjoyable memories of their adventure at Zippel Bay State Park. 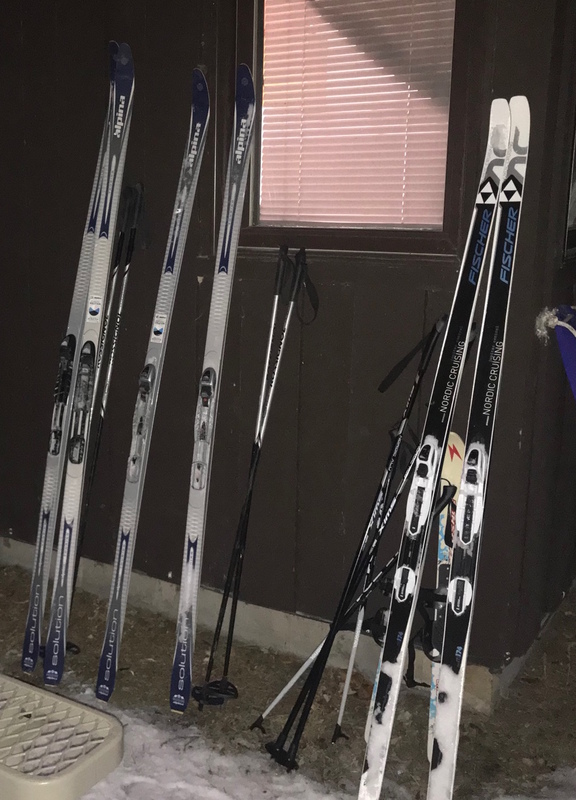 We had skis and snowshoes available for free rental that our guests, young and old, were able to take advantage of, which provided many with new experiences they hadn’t had the opportunity to try before. As I was going around taking pictures, I was able to see many smiles on everyone’s faces. I heard lots of laughing and many people saying they were going to go out for another loop, since they had so much fun the first time. 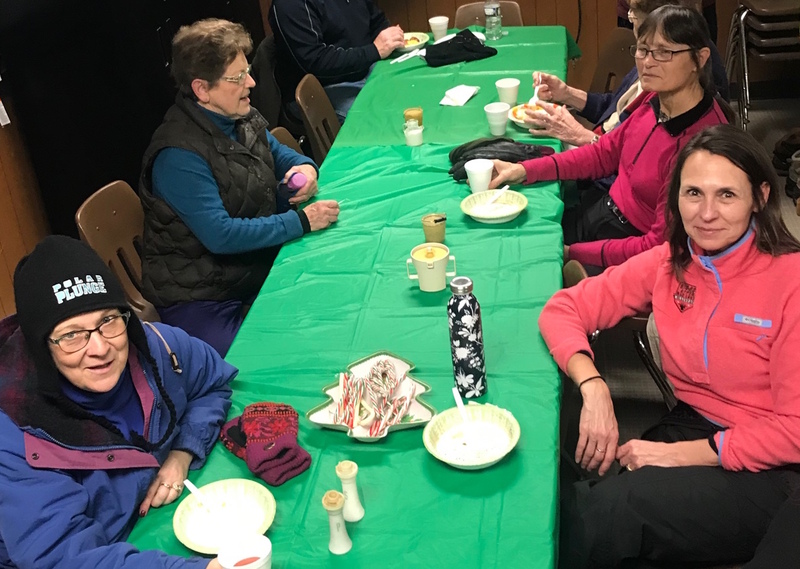 Many people brought dishes to share, providing a potluck and hot drinks for all to enjoy when the got back in from their adventure. There was also a fire outside to converse around, or to just take in the beauty of the night while staying toasty warm. We had tables set up inside so if guests wanted to, they could take a seat while enjoying a meal, or just take a break and converse with others about what a great time they had. The next event is scheduled for February 2nd, from 4:00 p.m.-8:00 p.m. Many people expressed how they planned on coming back. We are delighted to be able to provide these experiences for the community and its visitors to enjoy. We are truly a lucky bunch to have such wonderful volunteers that help organize this event. We hope everyone who gets a chance to visit our park enjoys it as much as we do, and that they have a great day at Zippel Bay!